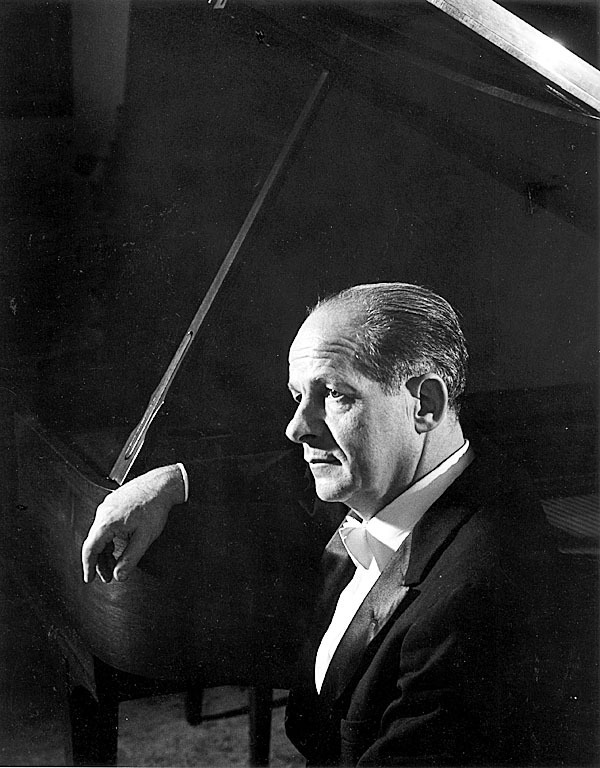 BLUE HILL, Maine — To the music world, Fritz Jahoda was a distinguished pianist, a demanding conductor and a dedicated teacher. But to his friends in Maine, Jahoda was Fritz, who enjoyed gardening and cooking, sharing a drink on the front porch and laughter. Jahoda, who with friends Marcia Chapman and Mary Cheney Gould, founded the Bagaduce Music Lending Library in Blue Hill, died Dec. 20 at his home in Concord, Mass. He was 99. Jahoda was born in 1909 in Vienna, Austria, and his musical talent was discovered early when he began picking out tunes on a piano at age 3. He gave his first piano recital at age 9, and at age 20, he was named principal conductor in Dusseldorf, Germany. He also conducted in Coln and at the Staatsoper in Graz, Austria. Amid political unrest in 1937, he and his wife, Hedwig, emigrated to London where they worked and learned English, and where Jahoda occasionally conducted the London Philharmonic Orchestra. In 1939, they moved to the United States. Jahoda taught at Converse College in Spartanburg, S.C., and at Sarah Lawrence College in Bronxville, N.Y. In 1946, he joined the newly formed degree-granting music department at City College of New York. He briefly returned to Austria at the request of the Austrian government to conduct at the Vienna Staatsoper and the Volksopera, but preferred New York. For the next 30 years, he remained at CCNY, teaching performance, conducting and opera. He conducted the CCNY orchestra and chorus, leading students in performances, which included a number of world premieres. Jahoda also served as the chairman of the CCNY music department until he retired in 1977. Jahoda traveled extensively as a solo pianist and as a member of the New York Trio and other chamber music groups. He accompanied singers, instrumental soloists and especially enjoyed playing two-piano music and piano four-hands. The Jahoda family became summer residents of Brooksville in 1948 and over the next 60 years, he built a home and became an enthusiastic gardener and an integral part of the Brooksville and Blue Hill musical scene. It was in Brooksville where he met Mary Cheney Gould and together they became longtime two-hand piano partners. Gould recalled that the first time Jahoda came to her home in Brooksville, he saw her two grand pianos. For the next three decades, they performed together, mainly at the Gould home, but often for local fundraising events, including the Grand Auditorium, the Brooksville Fire Department and the Music Lending Library. Jahoda, Gould and Chapman were the driving forces behind the creation of the Bagaduce Music Lending Library, now located in Blue Hill. In the mid-1980s, in a camper borrowed from Noel Paul Stookey that was parked in the basement garage of a New York City funeral home, the three friends sipped tea — Jahoda worried about what would happen to his extensive collection of sheet music and Gould was concerned over the growing collection of the Bagaduce Chorale. Chapman suggested they needed a library, and that it should be a lending library. The two collections became the basis of the library’s collection, which has grown to more than 200,000 pieces of music that are loaned out to musicians across the country and around the world. It recently celebrated its 25th anniversary and until the last year or so, Jahoda had played a very active role in its operation. He remained involved with the library, whether it was working with the music, as a board member, or financially. “Whatever needed to be done, he would do it,” Gould said. Jahoda was the husband of Hedwig (Kramer) Jahoda, who died in 1961. He is survived by his daughter Eleanor Horowitz and her husband, Paul, of Concord, Mass., and grandchildren Gregory Horowitz of Seattle, Catherine Horowitz of Boston, and Laurie Coyle and her husband, Adam, of Waltham, Mass. A springtime memorial is planned. Donations in Jahoda’s memory may be sent to the Bagaduce Music Lending Library, 5 Music Library Lane, P.O. Box 829, Blue Hill 04614; or to the Fritz Jahoda Scholarship Fund, CCNY, Shepard Hall, Room 166, Attn: Robert Kennedy, 160 Convent Ave., New York, N.Y. 10031. Checks should be made payable to the City College Fund, and Fritz Jahoda Scholarship indicated on the memo line.